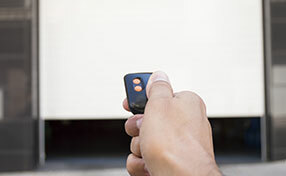 These days, garage doors have been enriched with several electronic parts, but most garage door parts are still mechanical and it is easy to spot their problems. If you inspect the mechanism on a regular basis, you can actually prevent many problems and when you have the right tools at your home in Oregon it will be easier to deal with sudden problems, too. Every single problem with the mechanism would affect the movement of the door and in some cases it may stop completely its operation. The damaged garage door tracks can actually create serious problems to the whole system since these parts keep the door aligned and make sure it's moving properly. If the door doesn't open properly, you should search for any distortions and you must definitely clean well the tracks removing the rocks, leaves or anything out of the ordinary in the tracks that could block the movement of the rollers. Smaller parts, like the hinges and the brackets, are very important for the stability of the tracks and other components and, hence, must be tightened often because loose components would lead the garage door off track or cause terrible noises. 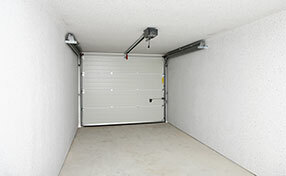 Check the garage door springs because they are absolutely vital for the good performance of the mechanism. If they are not maintained properly, they might snap and cause terrible injuries to your family members. Though, you need to approach them with caution and be extra careful when you are releasing their tension. 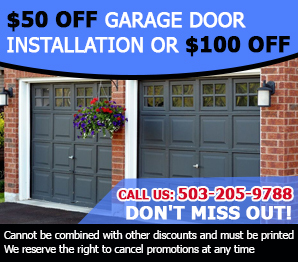 You must keep in mind that they are also heavy and you should get the right information from the internet or garage door repair Milwaukie before you attempt to do anything on your own. When the door has trouble moving, you should check the condition of the remote controls and try activating operation from the switch on the wall. Perhaps it's time to replace the remote or simply change the batteries. You should often lubricate the chain of the drive motor, check the wires of the opener and examine whether they are connected properly with the sensors.